All of my recipes I post will be gluten free. I taught myself how to cook to help me successfully heal my brain and wean off psychiatric meds I’ve been dependent on for over 16 years. Gluten is one ingredient you should definitely work on cutting out of your diet if you suffer from anxiety, depression, mania, insomnia or any mood related issues. The gliadin in the gluten that forms from the glyphosate used in processing with pesticides is what we are negatively reacting to. So I made the connection that gluten was causing my mood issues. I’ve slipped up and eaten things containing gluten and it has cause me to hit severe clinical depression. So for me personally I choose to feel balanced mentally so I say no to gluten! This is a fully gluten free plant based baked macaroni and cheese. The cheese is made with carrots, sweet potato, cashews, and seasoning. To think when I was a non vegan I had only one recipe for baked Mac and cheese, now I come up with so many types with either cashews, almonds, pumpkin seeds, or sunflower seeds. I have grown to prefer cashew cheeses or almond cheeses, because they are the easiest to get to cheese taste. I find seed cheeses take a bit of extra work to perfect. This sauce like most of my sauces is made fully raw, so sometimes I make a fully raw dish with it, but tonight I chose to eat a cooked meal. I suggest a vitamix to make this sauce and it will not come out as good in a food processor and I’ve experimented. Because a vitamix is a powerful high speed blender it gets sauces or soups to a perfect creamy consistency that I just can’t seem to get from my food processor, but use what kitchen appliances you have just fiddle around with measurements to get a creamy consistency if you use another kitchen appliance. This sauce is so simple to make like all of my dishes I prepare, because to be honest even though I have the time to spend on food prep I prefer quick easy meals. I got this idea after trying a recipe for butternut squash Mac and cheese. 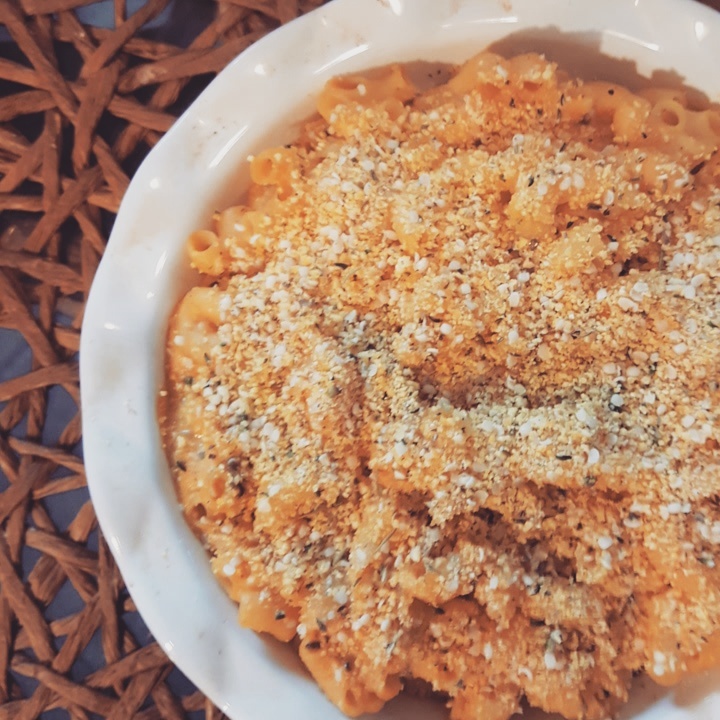 I liked that combination, but it took forever to prep seeing I was using fresh butter nut squash so I wanted to come up with a similar and quicker Mac and cheese sauce. Add all the ingredients to high speed blender and let the mixture blend until it is a creamy consistency with no lumps. Prepare pasta I used corn pasta. I made one serving for just myself. Sauce is enough for 2 bags of pasta, so you make a smaller batch by tweaking measurements. This did leave me with a lot of extra sauce, but I utilize the sauce for multiple meals so stay tuned for what I’ll be using leftovers for. Once pasta is cooked ( slightly under cook it because you will be baking it for about 10 minutes with the gluten free bread crumbs on top) add to a baking dish top with bread crumbs. Bake for 10 minutes at 350°. 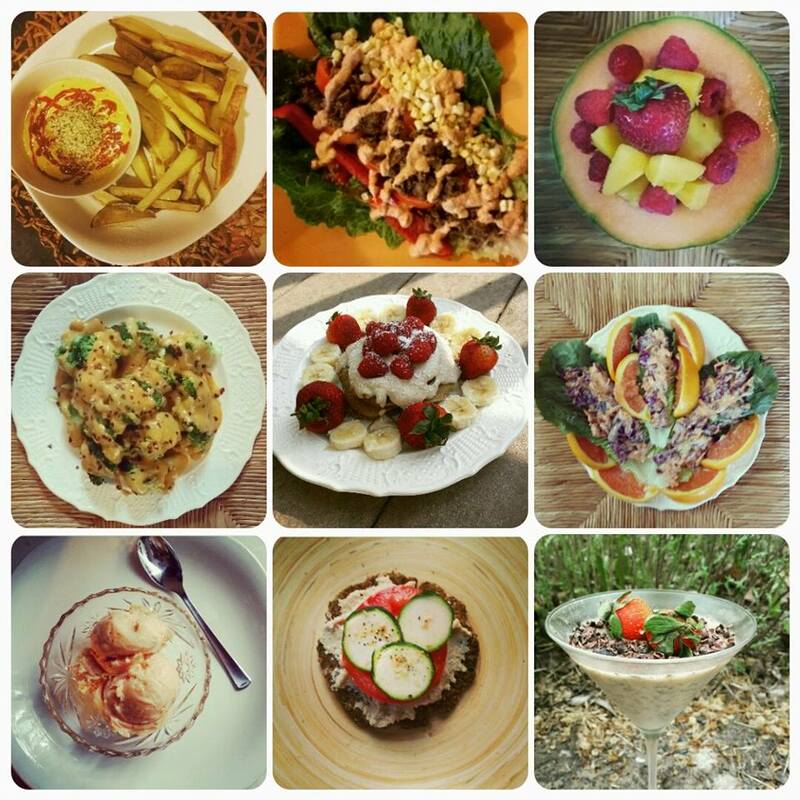 If you choose this can be made not gluten free, but all my recipes I post on my blog will be entirely gluten free.